This post has already been read 4318 times! Football brought Leo Wilson to the University of Nebraska at Kearney. The university’s academic and student support services helped him succeed here. 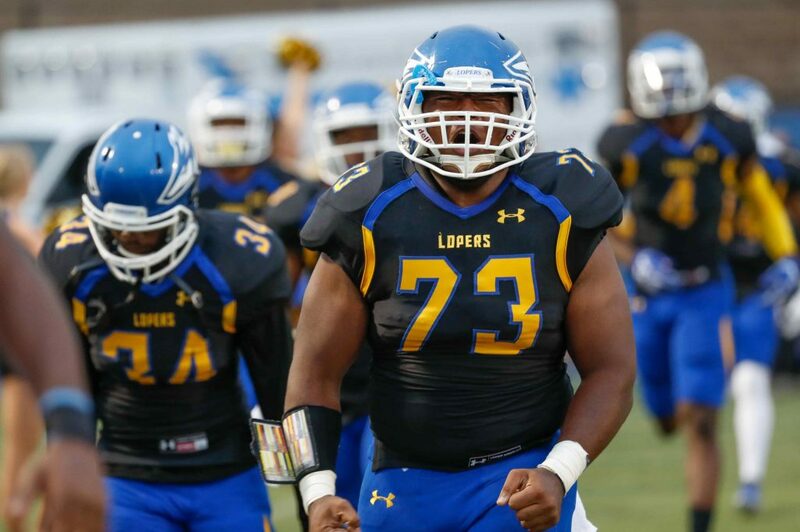 Wilson, who graduated in July 2018 with a degree in information networking and telecommunications, played four years as an offensive lineman on the Loper football team. Sports taught him perseverance. “Sometimes you work very hard at things, but you may not always come out on top,” he said of the sports world. Wilson may not have won a championship at UNK, but his hard work in the classroom paid off. And he wasn’t afraid to reach out for academic assistance. “The Learning Commons kept me from failing math,” he said. Located inside UNK’s Calvin T. Ryan Library, the Learning Commons offers free services for any student looking for additional academic support. These include subject-specific tutoring, a writing center, foreign language support and success coaches who meet one-on-one with fellow students to help them develop stronger learning skills. Wilson also turned to UNK’s TRIO Student Support Services for guidance. The federally funded program assists qualified need-based students by providing tutoring, mentoring, financial advice and other support during their pursuit of a college degree. Wilson connected with Rashawn Harvey, assistant director of TRIO Student Support Services. “He’s been a good mentor,” Wilson said of Harvey, who also played offensive lineman for UNK before earning bachelor’s and master’s degrees from the school. Harvey, who once received support from TRIO as a student while working on his bachelor’s degree, is now helping others find success the same way. Wilson, who grew up on the south side of Chicago, took advice from Harvey on a variety of topics, from choosing courses and setting up a manageable class schedule to football and college life in general. Along with the Learning Commons and TRIO, the best place for students to turn is Academic and Career Services. Staff in ACS provide academic advising in addition to career assessment and networking opportunities. The intent is for all students to have the best preparation for their careers. As a senior, Wilson interned with UNK’s Information Technology Services, gaining hands-on experience to jump-start his career. He wants to be a network administrator and eventually a consultant who helps companies design and set up their own networks. 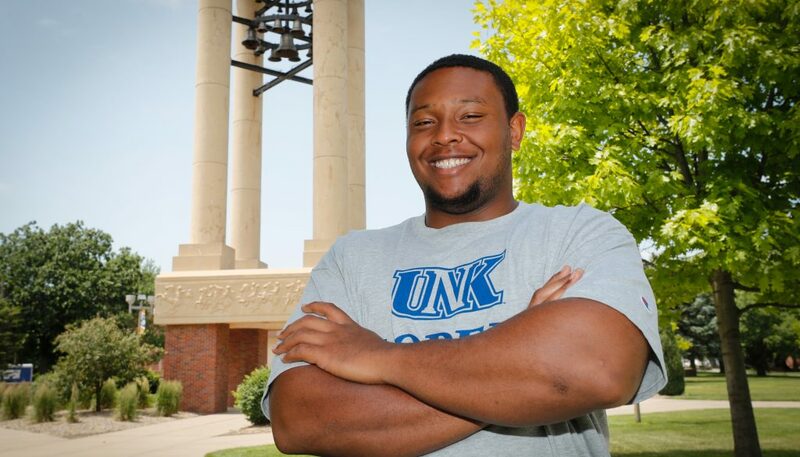 The first step toward reaching that goal was earning his degree from UNK. And he had some good help along the way.